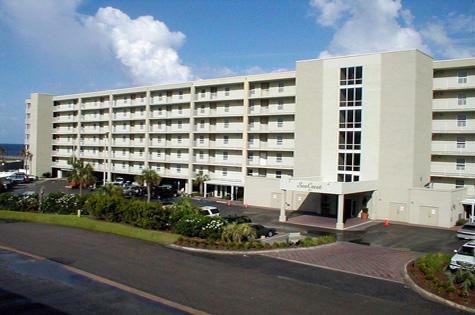 Nicely decorated 2 bedroom and 2 bath at Seacrest on the beach. This unit is in excellent condition. Seller just installed granite countertops, newly painted, carpets look good, new sofa, new dining table, and a newer exterior a/c unit. Spacious balcony offers Gulf views and includes access from the master bedroom. Washer and dryer is inside of the unit. Very close to the elevator for easy access. Fully furnished, rental ready, or great place to live. Amenities include indoor/outdoor swimming pool, tennis, fitness center and direct access to the beach. This is one of the few condo buildings available for VA Financing.